Rom Version: MDSTWRP 3.1.0-2ES Oukitel U16 Max Only for V6 Roms and below. Custom recovery for Oukitel U16 Max compiled from great Iceman-IT sources. - NOTICE: 100% compulsory OTG cable + USB mouse because touch is not working, more common nowadays than expected. - Only for V6 Roms and below. 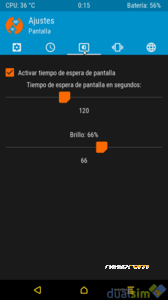 - Automatic MTP conection with pc, not necessary to disable MTP and enable it again. 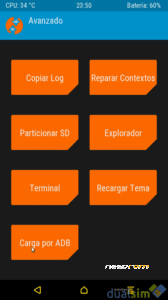 - Better spanish translation and text adjusted to buttons size. - Default time format: 24h. - Default time format: Berlin, Brussels, Paris. - Defaultactivated screen 120 secs. - Recommended install SuperSu before booting on system. Download the zip from download link and uncompress it. Go to this folder where you uncompress the zip, press SHIFT + mouse right button, select open command window here. Connect USB cable to pc and device. If is frist time you connect USB debugging on mobile phone will appear a screen requesting permission, grante it. Write adb devices. If everything is fine it will a serial number will appear. Write adb reboot bootloader. Device will restart with 3 tinny lines, select fastboot mode, so you will get into Fastboot mode. Write fastboot devices. Same serial number will appear. 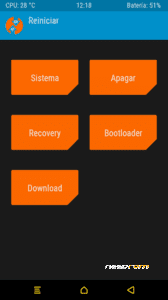 Write fastboot flash recovery recovery.img. Thanks to great master Iceman-IT who tought me and is always helping and teaching just for the pleasure, and my coleague SIgNIFER from staff of movilesdualsim who checked it and explained the way to install it in the support link.